With just 6 games remaining now for Forest, and after the damaging defeat at Rotherham on Saturday (Less said regarding the performance the better). The reds are now entering the last chance saloon when it comes to making a top 6 spot. Anything but maximum points from now on, given the form of the teams above, and the fact those teams still have games in hand will surely mean plans for yet another season in the second tier can begin. So to be honest, you can probably book that trip away with the family on whitsun week bank holiday now without too much worry of missing out…. Tomorrow’s opponents Sheffield Wednesday also suffered an equally damaging defeat at the weekend, to Aston Villa. Ending a home unbeaten run that stretched all the way back to November, and a current run of 12 games without defeat. It leaves The Owls a point behind Forest, and undoubtedly in the same position when it comes to the play-offs. No more room for error. We head up to South Yorkshire tomorrow for the second time in just a few days, and the first of back to back away trips to the Steel City. The recent record against the Owls makes for grim reading. A stunning goal from Joao Carvalho in September, ended a run of 7 straight defeats against Wednesday. The previous win before that came at Hillsborough all the way back in August 2014, thanks to a solitary first half goal from Henri Lansbury, whilst under the stewardship of Stuart Pearce. Train: Regular services from Nottingham direct to Sheffield every thirty minutes all afternoon and evening on Tuesday. Departure times just after the quarter to, and quarter past mark. A return ticket averaging in the region of £13 at the time of writing for the 1 hour long journey. Return train on the timetable is 22:03 direct to Nottingham, which does seem a challenge to make on time. 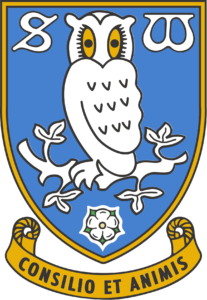 For those that are not aware, Hillsborough is approximately 3 miles from the station and city centre, so that is something to consider both before and after the game. A later service is available, but doesn’t depart from Sheffield until 23:37. Leave the M1 at Junction 36 and follow the A61 into Sheffield. Continue along the A61 for approximately eight miles. You will see Hillsborough Stadium on your right. This is not the shortest route to the ground, but this is definitely the easiest and avoids Sheffield City Centre. 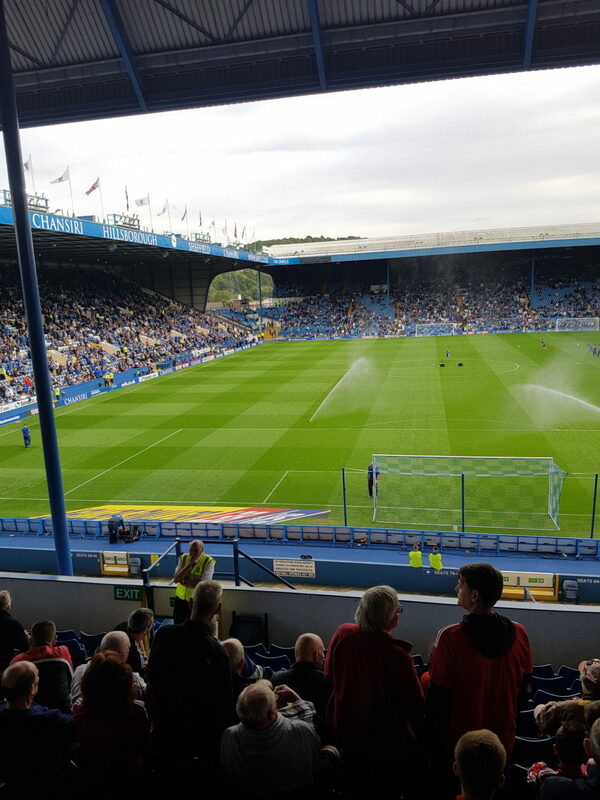 I’ve personally driven to Hillsborough more than any other method, but can’t for the life of me remember where we parked. Hopefully this proves helpful to all…. There is some street parking to be had if you arrive early, although some roads near to Hillsborough are permit only, so make sure to check for warning signs before you park. Otherwise, there are some unofficial car parks along the A61 that charge in the region of £4. There is a car park directly behind the Kop and the Wednesday Club shop. It is called the Wednesdayite car park and is open to fans of both teams. It costs £7 for visitors and its post code is S6 1QE. Official supporters coaches will depart from the Brian Clough Stand at 5pm sharp, and are priced at £16 whilst the availability lasts. We spoke to Wednesday fans Edders and Andrew Guyler to get their thoughts on The Owls’ season and then of course, Tuesdays game…. 1. From the outside looking in, it appears to have been a season of peaks and troughs for Wednesday. How would you evaluate it so far, with only a little more than a handful of games to go? Frustrating. We crept into the top 6 before the international week in October after playing a settled side and then following a home defeat to ‘Boro who were right up there at the time. This resulted in our previous manager making numerous changes to both personnel and formation on a game by game basis prior to his departure in December. Since this time, with the re-introduction of previous excluded players I think we have shown a bit more of what we are capable of, and without a couple of frustrating draws we’d be right up there again now. Lee Bullen initially recalled Westwood, Hutchinson and Boyd to the squad following Jos’ dismissal and Westwood has kept 10 clean sheets in 16 games which makes you wonder why he was ever excluded in the first place. 2. Defeat at home to Villa on Saturday appears to have dented your chances of making the playoffs, given it leaves you 7 points behind them. Any chance of top 6 still? I was full of confidence stepping into Hillsborough on Saturday afternoon, and rightly so. We dominated the game from start to finish, however, Villa’s late substitutes took the game away from the Owls with two injury time goals, sparking scenes in the away, which was horrifically unfair and not at all representative of the game. As far as I’m concerned this ends our play-off chances, but the fact we can be on top of a side such as Villa with the form they’re in for so long can only point to good things for the future. Unfortunately though, we are now playing for pride this season. 3. If the ultimate prize isn’t to arrive this year for you, do you hold high hope for next season under Steve Bruce? Who really does seem to have galvanised the club. He has worked wonders since he came in, but it’s almost a back to basics approach. Bruce added 3 new signings at the end of January, strengthening both full back positions and adding a winger with pace who is direct in Rolando Aarons. These are three things that have needed addressing for a number of transfer windows so it was good to see that being looked at from a fans perspective. We may well come under FFP/P&S restrictions during the summer but I’m fairly sure Bruce will be able to work around those restrictions with the squad he currently wants to trip to ensure we are competitive again next season. 4. Potentially a sore subject, but how does it feel watching your rivals challenging for automatic promotion after being back in the league for just a couple of years? – Sour, or partly impressed? This question is being answered through gritted teeth. However painful it may be for me to admit this, it is hard to deny just how impressive United’s quick transition from being stuck in League One to Premier League hopefuls has been, with the unique tactics deployed by Chris Wilder and the players brought in from lower leagues, you have to take your hat off to them, which makes it even more embarrassing that they failed to score past the worst defence in the League for 3 games in a row. 5. Is there any player you look at within the Forest squad with particular admiration, and would like to see Wednesday make a move for in the summer window? Lolley and Cash are the names I think of most within your squad at the minute, but they may well be down to fans opinions on twitter etc. I’ll leave the recruitment up to Steve Bruce! One player who certainly draws my attention is Joe Lolley, with his ability to find a man in front of goal and his wand of a left foot, not only this, but the fact he is incredibly versatile makes keeping him quiet a tough ask for any defender at this level. Would I take him at Wednesday however? No. I feel as though the price tag that is attached to Lolley would be very steep considering how impressively he has been playing this season and also the fact we have our own equivalent in Adam Reach, so, unless Reach was to leave, Lolley would probably end up wasting his talent and being surplus to requirements at Hillsborough. 6. 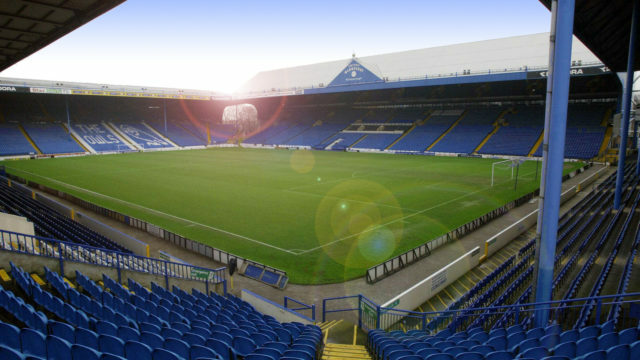 What sort of reception and atmosphere can we expect this year at Hillsborough? A healthy attendance with regular and repeated drumming orchestrating the crowd, or have things changed at all since our last visit? This season we have managed an average attendance of just over 24,000, which, given the circumstances isn’t too bad however I would expect to see it rise fairly significantly next season, there should be in and around the 25-26,000 mark in attendance on Tuesday, with most of the atmosphere coming from the away end as usual, which is something which really must be worked on as for such an incredible stadium the atmosphere really is poor, on the positive side for the travelling Forest fans, you only have to put up with the drum and trumpet for 90 minutes, we have it every week! 7. And finally, what’s your score prediction for the game? Given that since Bruce has taken over no side in the Championship has a better defensive record than Wednesday, and the fact the game is taking place at Hillsborough, I am going to rule out a Forest win from the off. As of late Wednesday have had an injury crisis with key forward men Steven Fletcher and Rolando Aarons missing out on last weekend’s clash at Stoke, Fernando Forestieri and Lucas Joao both only just making appearances from spells on the side lines and Sam Winnall and Gary Hooper only just beginning to get back to fitness from long spells out, the inconsistency is making it a struggle for the Owls to get that all important goal in games. With the quality that Forest possess and with both sides in decent form as well as the reasons listed above, I’m going to go down the middle with a low-scoring, yet free-flowing draw. Thank you to both lads for taking time out to speak to us.